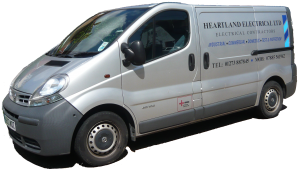 Heartland Electrical Ltd is a team of fully qualified electricians who have over twenty eight years of experience within the industry. All of our team are friendly, efficient and reliable. Heartland Electrical Ltd provide Electrical design & installation for members of the general public. We are used regularly by builders and local schools. NICEIC approved contractor and domestic installer. Please call today for a prompt and reliable service. Free Estimates are available, so make sure that you enquire! We can be contacted on 01273 887 845. We cover Southwick, Brighton, Shoreham, Portslade Lancing and surrounding areas within a 30 mile radius.